Tim Mooney writes from Singapore. The temperature is 25 C both in and out of the water. 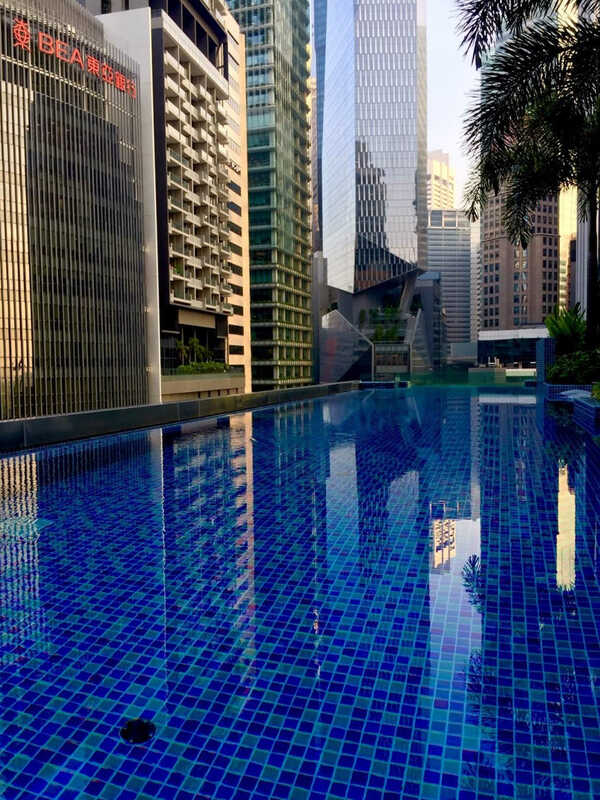 Unlike the Ulladulla sea pool this one here in Singapore is only 25 metres, so I do 40 laps three times a day to hopefully loose the baguettes n cheese. See you Monday. Maybe. 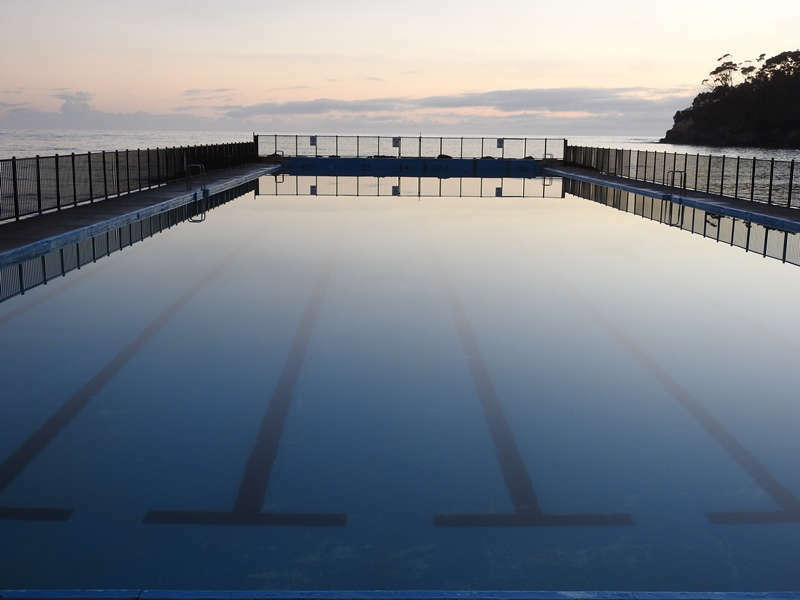 The Ulladulla sea pool is a cool 50 metres. Full and open now for the hardy swimmers with a water temperature around 16 C.
Finally a few waves appear at Mollymook to Big D’s delight. 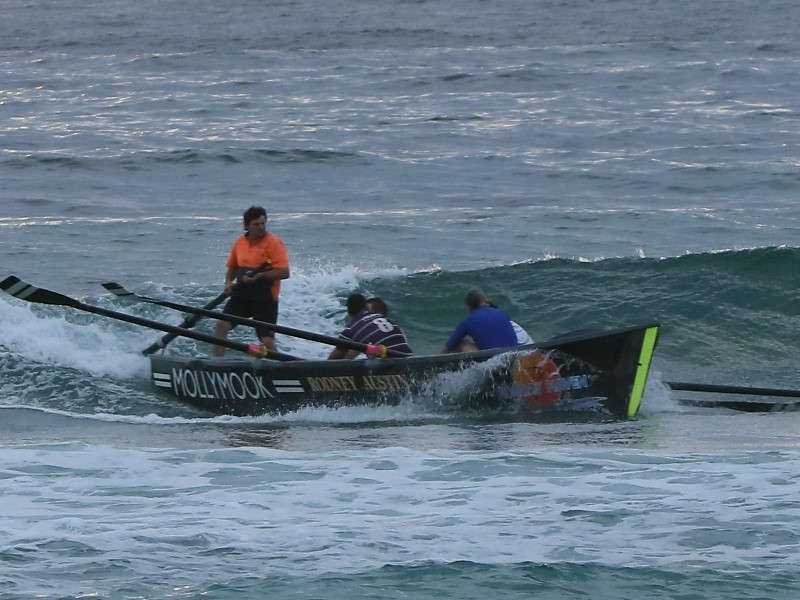 John Holt joins forces with the boaties. His first ocean boat wave.